From children to adults, all of us have dental needs. The dentist visits that we have once or twice a year help keep our teeth clean and hygienic. If we didn’t go to the dentist, the condition of our teeth might be deteriorating so much that we might be going around with yellow teeth! Can you imagine having yellow teeth every time you smiled? No, it isn’t a good image to think about. Apart from our desire for whiter, healthier teeth, we need emergency dentists for a few other reasons as well. Toothaches, fillings, scaling, root canals and other emergency surgeries, all of this and more are done at emergency dentists. 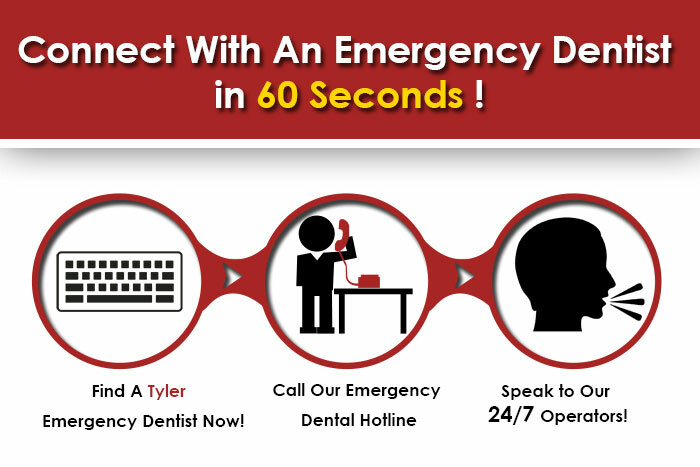 The most important aspect of emergency dentists is the fact that they are open for our convenience. It doesn’t matter what time or which day of the week your emergency happens, an emergency dentist will be open irrelevant. Hence, it is a good idea to keep track of a few emergency dentals nearby at all times. Tyler is a city in the county of Smith County, Texas, the United States. Named after President John Tyler, Tyler is known to have “Rose Capital of the World” as its nickname. This name was given due to the huge amount of rose bushes that are regularly processed through this area. It is also home to America’s largest rose garden. Tyler is a marked land for many tourists and visitors, especially those who love roses. Aspen Dental dentists are trained clinicians who were trained at some of the most esteemed dental schools. The dentists who sit at each of the offices hold a thorough knowledge of dental care. With all the diverse backgrounds, there is only one goal that each dentist holds at Aspen Dental: to provide a healthy mouth for each patient. Feel free to contact Aspen Dental at 903-705-7574 to set an appointment, get their address or make inquiries. Franklin Dental provides dental care from implants, surgery to the day-to-day dental hygiene needs. The office operations at Franklin Dental have two hallmarks: comfort and convenience. Under the guidance of Dr. Franklin Pitts, Franklin Dental has been progressing and doing very well with all of its services. Feel free to contact Franklin Dental at 903-593-2330 to set an appointment, get their address or make inquiries. Smith Dental provides a comfortable and relaxed atmosphere for dental care. Under the care of four renowned doctors, Dr. Roy R. Smith, Dr. Lynette Ogletree, Dr. Joe T. Smith and Aaron Douglas, Smith Dental has created a strong name for itself over the years. Patients who are not too comfortable with dental visits are provided a friendly and comfortable zone to meet their dental needs. The professional care has also been noted by many patients. Feel free to contact Smith Dental at 903-534-1171 to set an appointment, get their address or make inquiries.